Our Team of 3 PGA Professionals, plus our additional retail staff are incredibly knowledgeable in their areas of expertise and have a proven track record of providing excellent golf tuition, Custom Fitting Golf Clubs, whilst also providing Devon with an excellent Professional shop. Members and visitors are very welcome to call in and try numerous demo woods, hybrids, irons or wedges, in our Golf Simulator Studio in the knowledge that they will get the best impartial and professional advice at competitive pricing. As Custom Fit experts we are able to recommend equipment matched to your physique and swing characteristics. This service is available with Callaway, Mizuno, Ping and Yonex equipment. Club fitting is achieved with a state of the art Foresight GC2 simulator, where in-depth measurements of launch angle, attack angle, path, spin rate and club head speed help us to recommend the best Club specifications for your swing and therefore maximise your performance. We are also able to offer the benefits of the Mizuno DNA iron fitting system, Callaway Opti-Fit and Ping fitting systems, where club heads and shafts can be quickly changed for demonstration comparison purposes. All standards of golfers would benefit from being correctly fitted for woods, hybrids, irons, wedges and putters. We stock most of the leading brands in golf including Callaway, Titleist, Mizuno, Ping, Yonex, Galvin Green, Under Armour, Glenbrae, Oakley, Odyssey, Footjoy, Ecco, Srixon, Bushnell, Garmin, Motocaddy and Powacaddy. We also stock a comprehensive selection of ladies golf clothing where we select the best from the seasonal ranges of Rohnisch, Green Lamb, Callaway and Daily Sports to cater for most tastes and budgets. As a longstanding member of the Foremost Buying Group we are able to stock a comprehensive range of current golf equipment and clothing at very competitive prices. We have 3 electric buggies, 16 electric trolleys and 10 push trolleys available to hire for the round or the day. To avoid disappointment prior booking on 01548 560715 is highly recommended, especially during busy periods. We have 3 P.G.A. 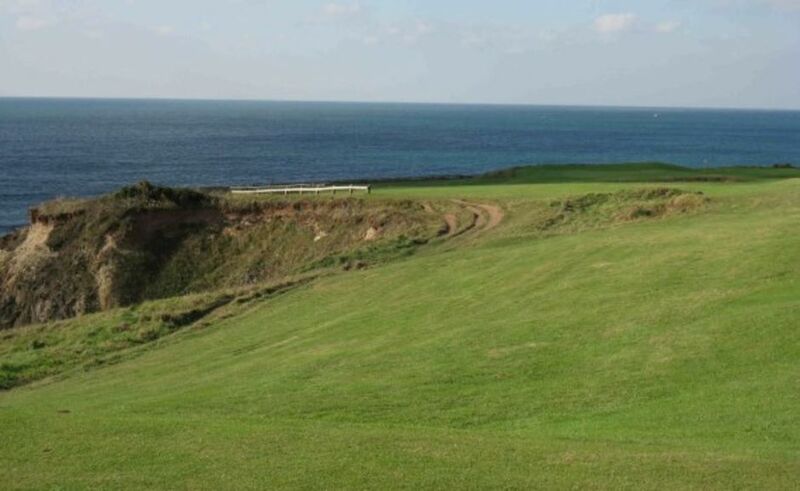 Professionals here at Thurlestone offering quality, individual and group golf lessons to all ages and standards. On the grass practice range, golf tuition is available to members and non-members alike, covering all aspects of the game. The short game practice area is ideal for help with your chipping, pitching and bunker shots. The Professionals also give tuition on the Golf Course in the form of a playing lessons over 4, 6, 9 or 18 Holes. This is an increasingly popular way for our pupils to learn and allow the coach to analyse the their entire game. 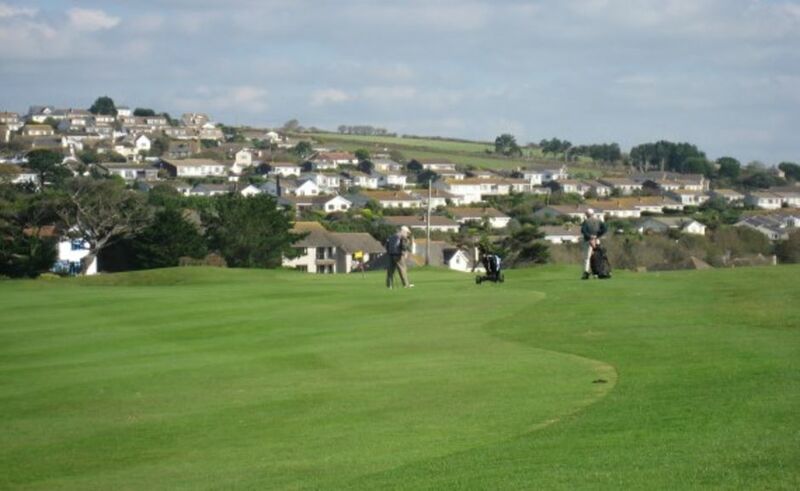 Our Golf Professional Team have designed a ‘pathway’ to help you start and improve your golfing Skills here at Thurlestone Golf Club. It doesn’t matter if you are a beginner or a regular golfer we can cater for golfers of all skill levels. Please call us in the Proshop on 01548 560715 to find out when the next Get into Golf Group sessions are planned. Throughout the year we run beginners lessons either individually or in Groups. Each course will run for 6 weeks and will cover the basics including set up and swing building, long game, short game and putting. You will also experience playing on the golf course. All the equipment will be provided. This is the perfect way to trial golf for the first time. These lessons will follow on and compliment our successful beginners lessons. We will revisit the long game, short game and putting but in much more detail. Your new found skills will then be put to the test on the course learning some basic rules and etiquette. Once you have completed the Beginners and Intermediate Tuition Courses our goal is to get you out playing golf as much as possible. To encourage you to do this we have a 3 month Academy Membership where you can play any afternoon 7 days a week, subject to availability. For more details on this please contact us in the Proshop or Simon Bawden in the Office. Every Monday and Wednesday throughout the summer holidays we run mini golf sessions, which follow on from mini-tennis. This allows children to get a great taste of the sports we offer here at Thurlestone. Each session is 45 minutes and registration is next to the tennis sign up by the tennis pavilion. We run two sessions, a 3-8 Year old and an 8-12 Year old group. We are also service agents for Motocaddy and Powacaddy Trolley’s and under take warranty work as well as servicing for both manufacturers. Our staff are trained to repair both Motocaddy and Powakaddy trolleys of all ages. All work comes with guaranteed for 12 months and only genuine parts are used. If you’re not sure what’s wrong with your trolley we will carry out a FREE appraisal and let you know the relevant work and cost of what needs carrying out. Trolley servicing is also available and includes a health check for your battery or charger. We are able to test both Lead Acid and Lithium batteries and give a current health reading. This is especially important when approaching any warranty deadlines. As with all moving parts they can wear over time, we suggest having your trolley looked at once every 12 months to keep it in top condition! This includes a health check, re-greasing of axles and a thorough clean. We offer transparent pricing for Motocaddy repairs in line with their recommending retail pricing on the website. On top of this we charge a labour rate at a fixed £25per hour with a minimum charge of 30 minutes. All our custom fitting takes place in our indoor swing studio on our GC2 Golf Simulator. This gives the vital information on where the ball is actually going. Yes most definitely. We track the golf ball using GC2 technology allowing our expert fitters to monitor every potential benefit to your game. All our custom fitting is carried out by our qualified staff who have attended and passed all the custom fitting courses from each of the manufactures. We do charge non-members £35 for a custom fitting, however if you purchase the clubs you will get £15 back. Yes of course we fit Ladies, and with our shop offering one of the best if not the best collection of Ladies clothing in the area we are extremely keen to look after all our lady golfers. We also have full trial sets for Ladies to take out and try the Clubs on the course. Yes, golfers of all abilities will benefit from the custom fitting process. The novice golfer will discover before purchasing which club combination works best for them. The advanced golfer will be able to fine-tune their desired feel and ball flight with precision. We understand that when players are changing their equipment they are doing so to see improvements in distance, consistency or both. Each fitting is carried out by a fully Qualified PGA Professional and advice will be given where necessary to make the fitting as beneficial to the customer as possible. We too want to see the improvements to your game with the new equipment. What happens if I can’t get on with the Clubs recommended? This rarely happens, as when you have fitting using our simulator the benefits are obvious to you and the Clubs tend to pick you! However, after a few weeks of playing we invite you back for a FREE Gap test so that we can measure how far you are hitting your new Clubs as often there will be a gain in yardage. We can also discuss any issues you may have and deal with them appropriately for you. Our intention is that you will be 100% happy with your purchase. Please call the professional shop on 01548 560715 and speak to one of the team or click here to email us.